This month was a nice balance of contract, volunteer and networking opportunities, and I even squeezed in a bit of personal writing. They are all learning experiences, which have also bolstered my confidence, and I believe will culminate in attaining that elusive job. I worked a rather interesting conference, and it’s amazing how much they cost to attend. I like to think my outings with my friend Wendy are mini-conferences that for a nominal fee I could get a fairly good return on my investment, especially where food and art is concerned. We were back in the Mission at the art space, “Secret Alley,” for the release of Lucky Peach’s third issue (Cooks and Chefs) by McSweeney’s Publishing. Chef Ryan Farrar of 4505 Meats and Magnolia Brewery provided scrumptious pork chicharrones and lovely brews. 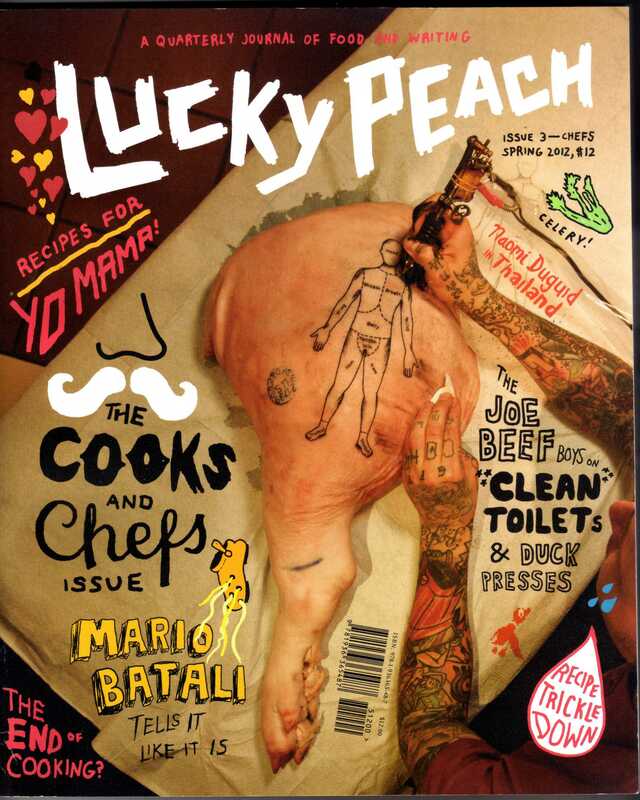 Lucky Peach under the McSweeney’s imprimatur is the creation of New Yorkers Chef/Owner David Chang of Momofuku, writer Peter Meehan, and Zero Point Zero Production—producers of the Emmy Award–winning Anthony Bourdain: No Reservations. It’s edgy food-writing with a literary bent a la Chef Bourdain. Wendy and I hung out for as long as the pork snacks, pizza slices and beer could sustain us, after which we made a beeline for Nombe, the Japanese restaurant where we ended up when we were in the neighborhood last. Its hand-made ramen wasn’t available at that time. But thankfully, at least for us, the place this night wasn’t bursting at the seams. We went ahead and ordered bowls for ourselves, and the noodles had that nice “chew” one would expect from such a dish. Noodles in Asian culture signify a long life. However, in the short term, I will take a good month.